Euro is still being corrected. 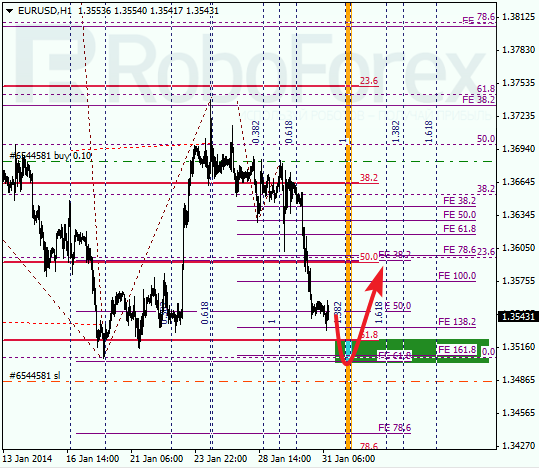 Earlier price rebounded from level of 61.8% and right now is testing it again. If pair rebounds from this level again, market may start growing up. Otherwise, it will move towards level of 78.6%. 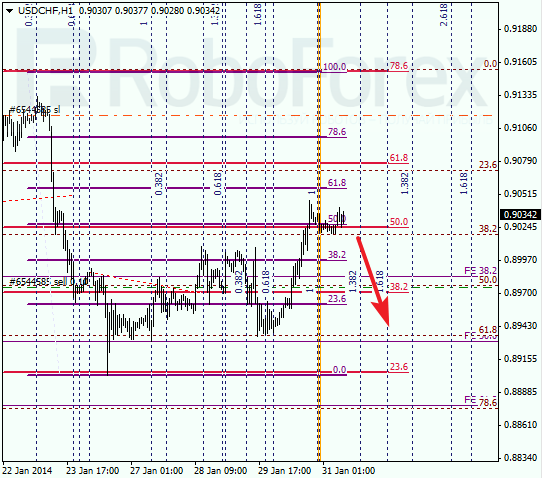 At H1 chart we can see, that there are two additional fibo-levels below level of 61.8%. 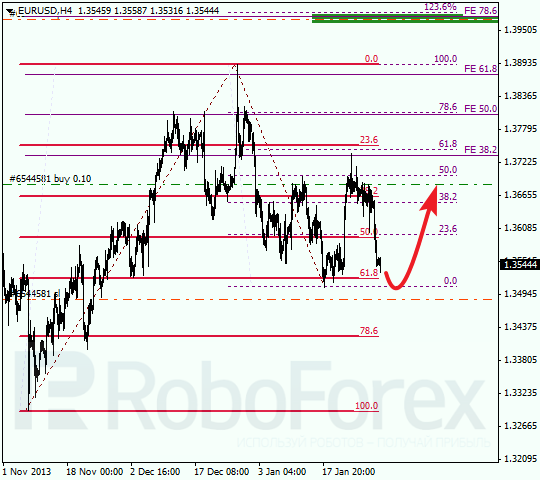 According to analysis of temporary fibo-zones, price may rebound from these levels during Friday. Despite current correction, main target for Franc is still near several lower fibo-levels. This is the reason why I expect price to break local minimum in the beginning of the next week. I’m planning to open additional sell order right after market starts moving downwards. As we can see at H1 chart, price is moving at level of 50%. Pair has already reached one of temporary fibo-zones, that’s why it may rebound from the above-mentioned level in the nearest future. 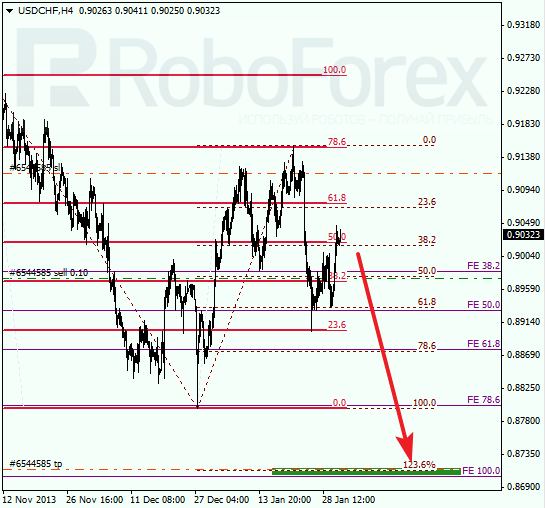 Later, instrument is expected to move towards several fibo-levels close to 0.8930.